The JSM missile for the F35A. The missile is developed by Norway and Norwegian F35 will have to be modified to carie it in it's bay. Anyone else gonna order this for their F35. Anyone know of any other countries ? 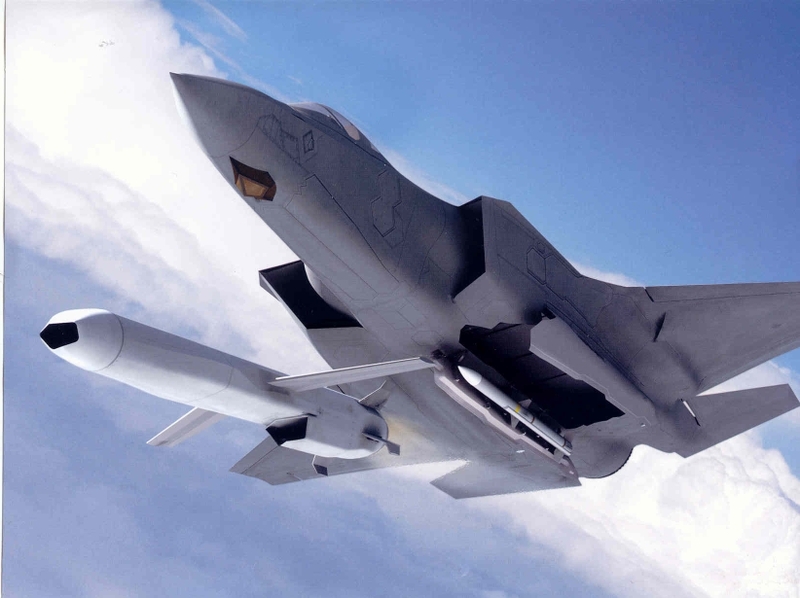 "...The air-launched “Joint Strike Missile (JSM)” variant is designed to be carried and launched internally from the F-35 Lightning II fighter’s internal bays (2 missiles), or external hardpoints. The prospect of stealth-enhancing internal carriage, plus out of the gate integration with the F-35 Lightning II, could also give the JSM an entry hook for F-35 customers; Kongsberg adds that the adaptation study is being funded by Norway and Australia. Other potential JSF-linked buyers may include Denmark, The Netherlands, Turkey, et. al...."
Last edited by spazsinbad on 25 Mar 2011, 08:49, edited 1 time in total. Fits in the internal bays? This is exactly the sort of thing I was hoping would be developed for the F-35. I hope the U.S. doesn't turn up its nose and spend another ten years developing the same thing with an American contractor. Although I'm not sure how much yield can be packed into a 125kg/275lb payload, it does appear to be big enough to mount a 10kt or so tactical nuke like the W-44s that were on ASROC system until 1989 (I'll bet there's still a few left in storage). Last edited by spazsinbad on 26 Mar 2011, 00:34, edited 3 times in total. "Norwegian firm Kongsberg has signed the initial development contract for the Joint Strike Missile. This anti-ship weapon is designed to be carried internally by the Joint Strike Fighter and Australia has been watching the program closely. The 2009 DCP reveals Phases 3 and 5 of Air 6000 - New Air Combat Capability (NACC) which will deliver training and war stocks of air-ground and air-air weapons for the RAAF's F-35A Lightning IIs. It also foreshadows another phase, due for 1st Pass approval post-2016, which will deliver a maritime strike weapon. The current SDD Phase of the JSF program covers development of the Phase 3 software and integration of the so-called ‘Threshold' weapons family for the JSF which will provide the baseline combat capability for the RAAF. The Threshold weapons include the AIM-120C AMRAAM, AIM-9X Sidewinder, GBU-31/32 Joint Direct Attack Munition (JDAM), Small Diameter Bomb (SDB), GBU-12 and -12 Paveway 2 laser-guided bomb and larger stand-off weapons such as the JSOW which will also arm the RAAF's Super Hornets. There is no dedicated anti-ship, or Anti Surface Warfare (ASuW), missile on the Threshold list and there are no plans at present to integrate such a missile with the JSF family until the Block 5 avionics software emerges, in around 2018. The RAAF's fast jet anti-ship missile capability will be provided up to this point by its Hornets and Super Hornets, carrying the Harpoon. There are very few dedicated anti-ship missiles under development at present, and the only one with the potential to be carried internally by the F-35A and -C (the internal weapons bay on the STOVL F-35B may be too small) is Kongsberg's Joint Strike Missile (JSM). 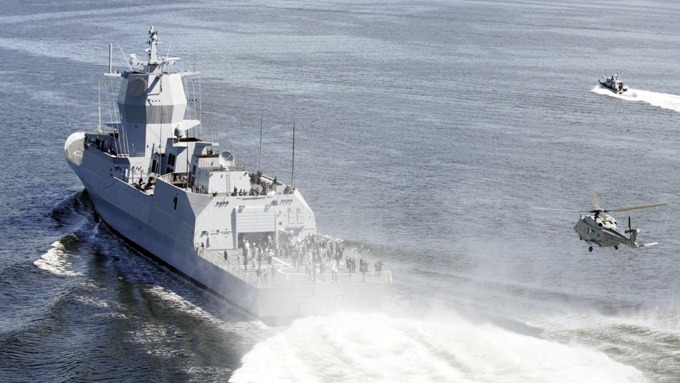 The JSM is based on the Norwegian company's Naval Strike Missile, a ship-launched strike and anti-shipping weapon which will arm Norway's Nansen-class frigates and Skjold-class corvettes. After a nine-year development program, including several successful test firings, the NSM production contract was signed in 2007 with deliveries due next year; Operational Test & Evaluation (OT&E) will take place during 2011-12. Norway, a JSF partner nation, spotted the ASuW capability gap with the JSF and is developing the JSM to fill it. Kongsberg signed the US$35 million JSM Increment 1 development contract with the Norwegian Ministry of Defence in April this year; Increment 1 runs to June 2010. Although the DMO has been supporting JSM integration studies since about 2005 (including low-speed wind tunnel testing by DSTO last year), it hasn't contributed to Increment 1 and won't consider any further support for the JSM program until after 2nd pass approval for Air 6000 Ph.2A/B, which is tentatively scheduled for this month. Australia's involvement with the JSM program is enabled by the existing MoU with Norway. The basic design goals for the JSM are internal carriage on the JSF; high survivability; and a high kill probability. It is designed as a fire and forget weapon for use against both ships and land targets. It employs INS, GPS and terrain correlation for mid-course guidance, is designed to fly at low altitude over land and sea to minimise the chances of early detection and has selectable end-game attack profiles. The missile also incorporates a datalink for man in the loop targeting. Business development Vice President Bjorn Bjune told ADM that the seeker is a smart Infra Red (IR) sensor manufactured by Kongsberg and Norway's Defence Research Establishment, with a wide field of view. It is a passive, day/night system designed to recognise and identify specific target classes, discriminate between multiple targets and allow aimpoint selection by the operator. Importantly, it is highly resistant to both Electronic and IR counter-measures. A passive seeker head is part of an overall approach to survivability that includes stand-off range, low-altitude flight profile, high speed, complex flight profiles over land and sea, low-observable design, and the ability to saturate a target's defences by specifying the direction of attack and time on target (TOT) through missile speed control. It is also designed for high maximum and sustained ‘g' endgame manoeuvres to evade defensive fire. Kongsberg says the F-35A and -C will be able to carry two JSMs and two AMRAAMs internally and a further four JSMs externally if required. A US Navy ASuW capability gap analysis of the F-35C has identified a requirement for a weapon with "JSM-like" qualities and endorsed the JSM's platform configuration and design, Bjune told ADM. In June this year Kongsberg signed a two-year cooperative agreement with Lockheed Martin to enable integration of the JSM with the F-35A and -C.
It is also currently preparing for Increment 2 funding from the Norwegian MoD for the next phase of development from 2010-14. Meanwhile, Kongsberg is also preparing for the JSF Block 5 RFP in the final quarter of 2010. If selected for JSF Block 5 Norway is willing to fund the development of the weapon, Bjune says, but seeks partners to share the cost of integration. The current schedule will see the Critical Design Review in late-2011 and the first flight test at the end of 2014. Defence acknowledges the JSM has the potential to provide a good solution for maritime and some land strike roles, enhancing strike range and weapon and aircraft survivability, but with JASSM already on order and other weapons such as JDAM-ER and SDB potentially available, it stops short of an unqualified endorsement at this stage: "Although the JSM has the potential to meet Defence's standoff maritime strike capability for our future F-35 fleet, it remains one of a number of options for our future maritime strike requirements," ADM was told." 1st503rdsgt wrote: Fits in the internal bays? This is exactly the sort of thing I was hoping would be developed for the F-35. I hope the U.S. doesn't turn up its nose and spend another ten years developing the same thing with an American contractor. Although I'm not sure how much yield can be packed into a 125kg/275lb payload, it does appear to be big enough to mount a 10kt or so tactical nuke like the W-44s that were on ASROC system until 1989 (I'll bet there's still a few left in storage). The JSOW/JSOW-ER also fits in the internal bays, so the F-35 has several options with regards to stand off munitions available, while maintaining a VLO profile. Which new standoff weapons will actually materialize is still up in the air. Current JSOW is not a missile; it's a glide bomb. Considering the flexibility in JSOW warheads and it's greater range compared to the JSM, I see it going operational as a no-brainer. SpudmanWP wrote: Considering the flexibility in JSOW warheads and it's greater range compared to the JSM, I see it going operational as a no-brainer. So does this missile have stealth capabilities like the JSM / NSM ? Yes, the JSOW has LO features like basic faceting (nose section) and sawtooth edges on access panels. Block II continues to maintain JSOW's low radar cross section and infrared signature. These are key stealth features and ensure a high probability of JSOW survival en route to highly defended targets. Spaz, do you have a local copy of the JSM PDF? The link went 404. We bought Penguins from Kongsberg, so a JSM buy wouldn't be out of the realm of possibility. bjr1028 wrote: We bought Penguins from Kongsberg, so a JSM buy wouldn't be out of the realm of possibility.